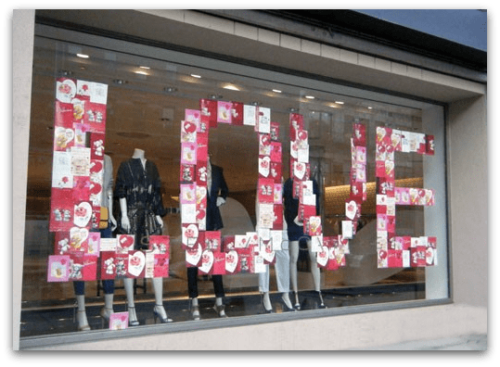 I thought it would be fun to see what some shops are doing for Valentine’s window decorations. If you haven’t created a stunning display, this weekend is your opportunity. Here are 15 fun and fairly easy ideas. These 3 ideas came from Gabriela Pinaud. 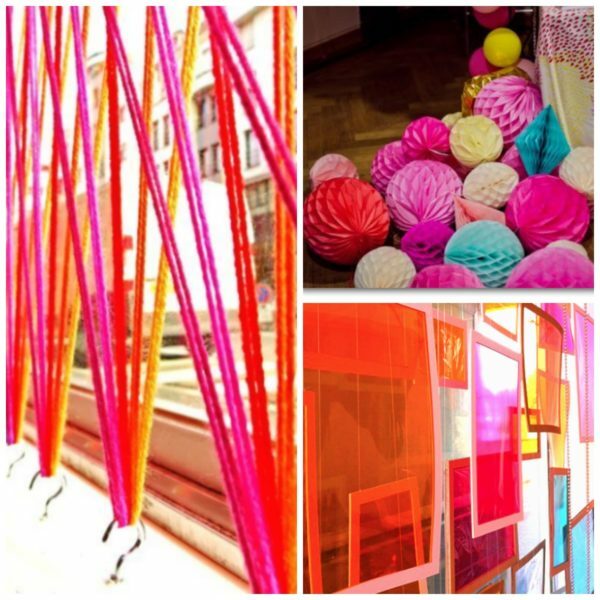 Using simple materials like yarn, tissue paper balls or gel sheets, she’s created a riot of color. Any one of these designs would carry you on into Spring too. The good news, all of them can be purchased at your local Walmart. If screwing cup hooks into the top and bottom of your window isn’t an option, use the plastic removable ones. Hang the tissue paper balls for a more dramatic effect. Add cheap mats to the gel filters and you’ve got a beautiful “stained glass” window. You could even cut the gels into heart shapes. Valentine’s Day is all about affairs of the heart. 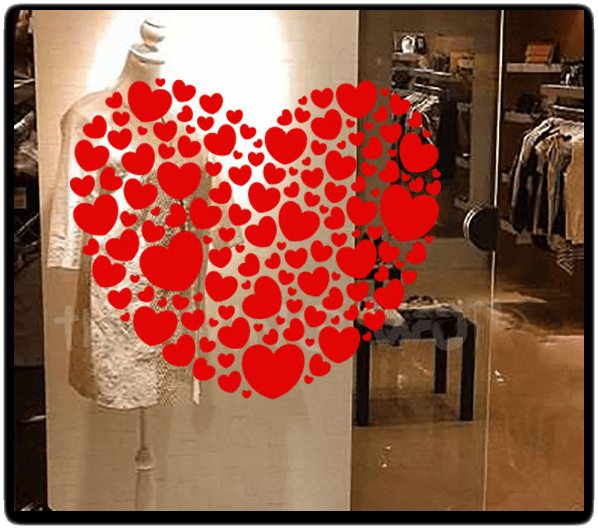 Why not make hearts the theme of your window decorations? Most of these ideas are fairly easy to re-create. 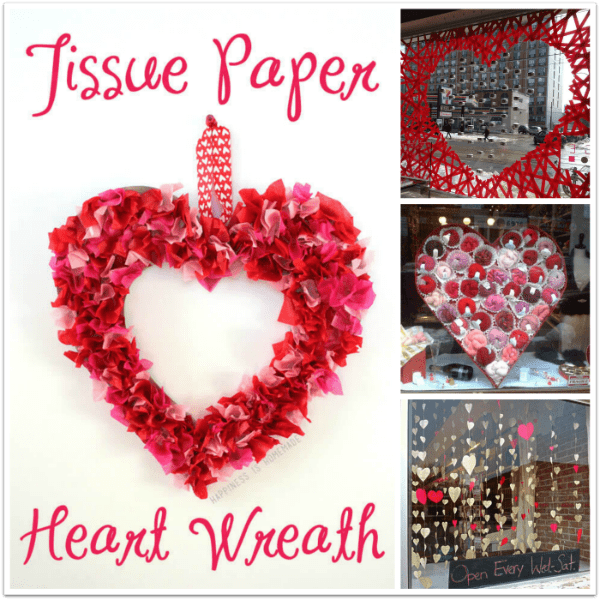 Cover your front window with red Washi tape, tissue paper hearts or string together hearts made out of card stock. Here are the directions to make the simple tissue paper heart wreath from Happiness is Homemade. The clever heart made out of paper muffin cups could display your silk scarves in pink, red and white. Don’t limit yourself to the mundane. Consider making hearts out of arrows (again with Washi tape), Styrofoam and even doilies. The hardest one would be the Styrofoam candy hearts. I don’t think I could stand the sound of cutting that stuff. A few final ideas I found. Whatever you choose to do, make it big and bold. 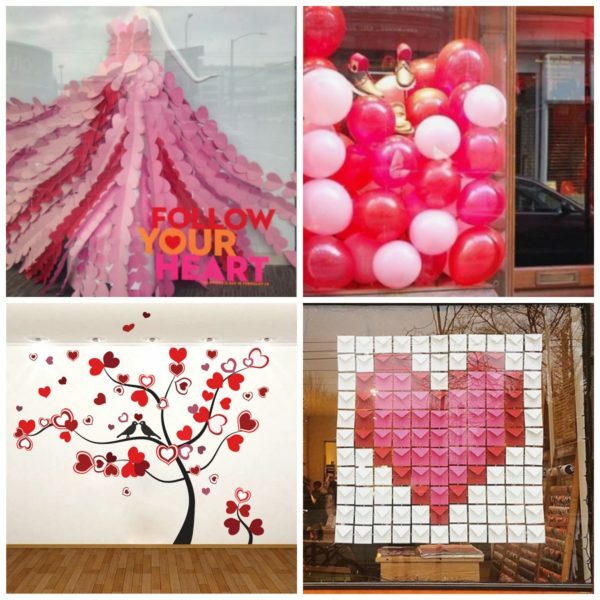 With it’s vibrant colors and easy-to-recognize symbols, your window decorations should stand out this Valentine’s Day.